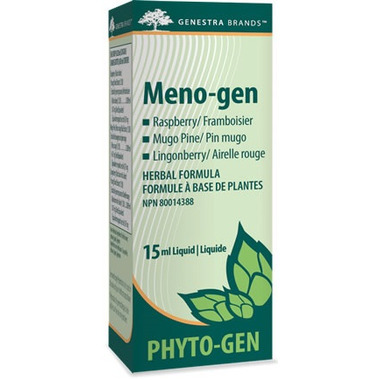 Genestra Meno-gen is a herbal Phyto-Gen formula with Lingonberry Young Shoot, Mugo Pine Bud Extract, and Raspberry Young Shoot Extract. There is no info given on these products so one has to do the research. I just ordered my second bottle. 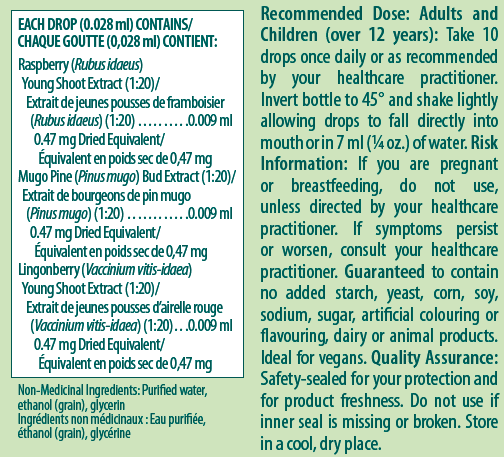 This product has addressed my menopausal symptoms of night sweats. After a week of use they disappeared. Unfortunately the bottle doesn't last long so if this does become the answer then it is an expensive solution. I am curious to try other products in this line to address other issues. So happy Well carries these unique products.